Region : Las Vegas Price : VIP Members! Tattoos : VIP Members! VIP Only! : VIP Members! Piercings : VIP Members! VIP Only! : VIP Members! VIP Only! : VIP Members! VIP Only! : VIP Members! VIP Only! 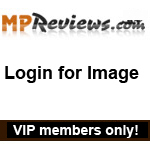 : VIP Members! VIP Only! VIP Members! VIP Only! : VIP Members! Add a New Review and Earn 10 Days Credit! Click here to purchase VIP access!